The chief operating officer of SAP ANZ talks about ‘disruptive thinkers, start-ups, people who see the same things as we do – yet imagine a very different outcome’. 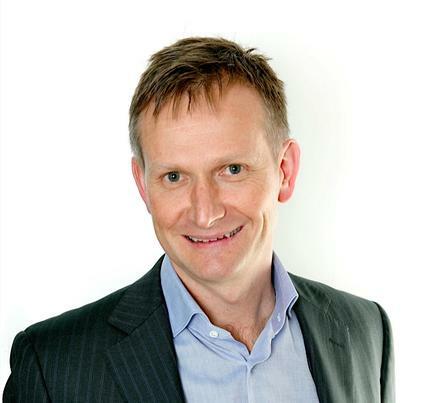 I joined SAP Australia and New Zealand as chief operating officer this month. I’m responsible for looking after our operations team, as well as our industry value engineering and presales teams. I joined SAP in January of 2013 as senior vice president for cloud at our regional organisation. Essentially, we have transformed our business to help our customers transform theirs. Complexity is a real inhibitor of innovation, and we’ve found that organisations are really only investing 20 per cent in areas of innovation, with the remaining 80 per cent channelled into managing issues of complexity. We want to help organisations run simple by delivering solutions that let them focus on business innovation; not their IT systems. We do this by delivering agile and cost-effective cloud solutions that run on our in-memory database platform, SAP HANA. Through offering a cloud model coupled with the speed of a real-time platform such as SAP HANA we’re supporting organisations in Australia and New Zealand to run their business better. We’ve found that organisations are really only investing 20 per cent in areas of innovation, with the remaining 80 per cent channelled into managing issues of complexity. Definitely my family – my wife and my two teenage sons; I like trying to keep fit – riding my road-bike when I can; we also have a small farm in the southern highlands – so enjoy weekends away, I thoroughly enjoy that little bit of rural life. On my bedside table I have two books; John Grisham’s Sycamore Row, and Malcolm Gladwell’s What the Dog Saw. There are two great pieces of borrowed advice that come to mind – Firstly, something I remember from an executive I worked with a few years ago who liked to quote the author, Stephen Covey – ‘the main thing, is to keep the main thing, the main thing’. Secondly, a colleague I worked with for a number of years liked to quote his mother – ‘you earn your character every day’ both excellent pieces of advice. A lot of people have influenced me directly and indirectly throughout my career. However, I have tended to take a somewhat eclectic view of these influencers – and have a huge amount of admiration for disruptive thinkers, start-ups, people who see the same things as we do – yet imagine a very different outcome. I’ve been actively involved in the IT industry for the past 20 years, in local, regional and global roles - but always in software. I think I have been fortunate in that regard – it has been an amazing journey. Before SAP, I worked as senior vice president of International Sales at Zuora Inc. and General Manager of Emerging Markets at CA Technologies. Who knows – maybe building or property development; or, maybe farming – but, that is a tough way to earn a living. My parents were in retail, so I used to help out in their stores after school. Also, during school holidays I used to work for a local builder as a builder’s labourer, which is probably where I developed my appreciation for construction. Some of the most creative and demanding personality types that you will experience in your working life; as customers, competitors and colleagues. What’s often the best thing can also be the worst! How do you keep abreast of business technology trends? What I really enjoy about the whole print to digital revolution is how easily we can now consume new information with social media totally changing the way I keep up. Having a lot of information in consumable bite size pieces, where you can decide to go deep, or just skim the surface gives you so much control over what you see and experience. Having it available on your iPhone, or iPad means you can consume in idle moments, while waiting for a meeting, in a cafe line, etc. Additionally, the information pool is so much richer, with a much more diverse combination of sources. Personally, I subscribe to a daily newspaper, frequently use LinkedIn, TechCrunch, and a few other apps. A key advice for organisations moving to the cloud? Look for reasons to go cloud, versus reasons not to go cloud; look at cloud as an innovation platform. I am not advocating that businesses should go cloud for cloud’s sake, but that the frame of reference should be to recognise that cloud is an amazing advance in our industry, like many major innovations before it. That is not the debate, it should be how we draw maximum benefit from adopting this innovation and new forms to come.